Sure, it’s safe to say that Glass Hammer is the finest progressive rock band ever to have emerged from Chattanooga, Tennessee. But on the strength of their newest studio album, I’m going to venture out along the limb of precarious value judgments and call them one of the most impressive prog outfits, period. Across fourteen studio albums now, not to mention several live recordings, Glass Hammer have delivered all the instrumental intricacy and conceptual grandeur that apotheosized their predecessors Yes, ELP, King Crimson and Steve Hackett-era Genesis. It was unfashionable to worship, let along emulate, that older race of gods in 1992. Nonetheless, musical partners Steve Babb and Fred Schendel launched their prog rock vessel that year and have been navigating wider and wider waters ever since. Their initial outing was an independent production, establishing a business model that has shaped all the subsequent albums. From day one, the duo at Hammer’s heart have operated their own record label and production company, subsidizing the band’s endeavours through the successful operation of their Chattanooga recording studio, Sound Resources. The model must work: Glass Hammer is predominantly a studio animal, without recourse to revenue from steady touring, yet I haven’t noticed them rely on crowdfunding schemes. The albums, ambitiously conceived and exquisitely recorded, just keep on coming. With their last several discs, Babb and Schendel’s DIY ethos has grown so refined and assured as to serve up opulent yet perfectly proportioned audiophile feasts. The Sound Resources website trumpets the pair’s commitment to “outstanding audio production. 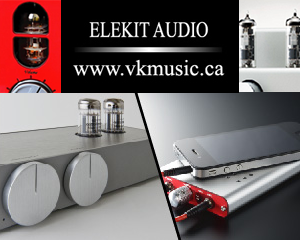 We are known world-wide for our audiophile quality mixes and album production.” A large claim, but their list of clients is impressive. No client benefits more from this expertise than Glass Hammer themselves. As the group’s founders and two constant members, Babb and Schendel are not only the conceptual and songwriting backbone; they’re also the engineering, mixing and production team. To master their discs, they consistently turn to renowned mastering engineer Bob Katz. The discs sound like a million bucks. On the heels of three records relatively consistent in style and personnel, Ode to Echo comes as a marked departure. Those LPs featured extended compositions, epic in breadth, and accordingly stressed a sense of grandeur. Perilous, studio album thirteen, took the form of one 60-minute track divided into thirteen sections: a moody interior monologue à la Die Winterreise. To stretch great arching melodies over monumental structures, the group relied heavily on a main vocalist, Jon Davison, bolstered by backing singers Babb and Schendel. Davison, who also dominated the 2013 disc of re-recorded highlights from 2005’s double-disc The Inconsolable Secret, can channel Jon Anderson at will, becoming the Yes man’s aural doppelganger. In a recent turn of fate, Jon Davison literally became Yes’s lead singer. With Davison now heavily committed to their prog predecessor-peers, Glass Hammer engaged a whole department of vocalists for Ode to Echo. Davison is still in the picture, but he shares it with Carl Groves and Susie Bogdanowicz. Besides these three main singers, the album features backing vocalists Babb and Schendel, as well as contributions from Walter Moore and Michelle Young. Far from gimmickry, the massed presence of all seven singers from Glass Hammer’s history enfolds the ear in a vocal tapestry fully apropos of the album’s thematic matter. And the impressively transparent audio mix preserves the weave of solo and harmony voices without any sense of congestion. As its title suggests, opener “Garden of Hedon” epitomizes the album’s concern with narcissism and sensory overindulgence. The vocal content limns a world where “appetite is everything” and everything is provided in abundance. Certainly the opulence of this garden puts to shame the impoverished resource base of contemporary pop music. Against a sky thick with vocal harmonies doubting the survival of the self in a world of self-indulgence, the locked-together bass of Babb and drums of newcomer Aaron Raulston dart like vigilant birds intent on pecking the hedonist into self-critical awareness. Steve Babb’s bass boasts all the minatory grumbliness of Chris Squire’s in Yes, and partners equitably with the quicksilver six-string of Kamran Alan Shikoh, familiar from the previous three discs. In fact I’d call this equality of guitar and bass, where the latter leads as often as it follows, a hallmark of Glass Hammer’s sound, as it is of Yes’. Moreover, the guitarist’s approach is reminiscent of Steve Howe’s, favouring clean picking and parallel electric and acoustic parts. Shikoh’s electric playing inhabits a space triangulated—and not intruded upon—by alt rock skronk, heavy metal monologue and innocuous pop jangle. And there’s nary a blues progression to be heard. With its shorter tunes, the new album is not averse to pop innocuousness and in fact embraces it joyously in “Porpoise Song,” a rare non-original Glass Hammer track. Penned by Gerry Goffin and Carole King, and first recorded by The Monkees on the soundtrack Head (1968), this curio dwells contentedly among the gems dispensed by Glass Hammer’s upended cornucopia of prog rock hedonism. A rich vocal arrangement eclipses the lazy croonings of the original, which admittedly sounded appropriate to the lyrics’ sense of uncertain identity: “Wanting to feel, / To know what is real, / Living is a, is a lie….” Rhythmically the track is propelled by tubular bells and Raulston’s Ringoesque thumpings. Elsewhere, the songwriting preserves the pattern established on “Garden of Hedon”: vocal iterations of the album’s theme, both capturing and countering the danger of self-indulgence, which alternate with instrumental interjections attempting to break the vice’s spell. On “Misantrog,” the one track that nudges the ten-minute mark, even Fred Schendel’s aggressive keyboard stabbings (along with contributions from guest keyboardist Rob Reed) fail to puncture the light/life-denying solitude of the titular character, a gloomy Timon-like figure. The range of sounds is delightful and bold: vibrant Hammond organ; retro electric piano; rubbery Moog synth. Does it matter that, as Babb and Schendel make clear in interviews, these overdriven analogue sounds are largely produced using software rather than actual vintage keyboards? No, so convincingly curated is this exhibit of prog credentials. A musical mini-drama as complexly arranged as any you’ll hear, “I Am I” alternates moments of hopeful tranquillity, focused on the female voice, with stretches of power trio brutality that try to shake sense into the navel-gazing male. Galumphing bass, tribal drums and caustic guitar here make the heaviest music on the album, countering the most carefree. Suitably monolithic gestures likewise hammer home the point on “Ozymandias,” an adaptation of Coleridge’s sonnet. The ambitious word-setting on this closing track benefits from a resplendent audio mix that conveys each singer’s contributions, along with every instrument’s, distinctly and with warm clarity. Seemingly the whole vocal department is press-ganged into service here, as well as a legion of keyboards. But unlike the massive statue whose remains the poem surveys, no musical gestures seem wasteful or disproportionate; in Glass Hammer’s music, progressive but not pretentious, everything happens for a reason. Editor’s note: This recording is recommended, and Wall of Sound encourages its readers to buy from a local, independent record store whenever possible. 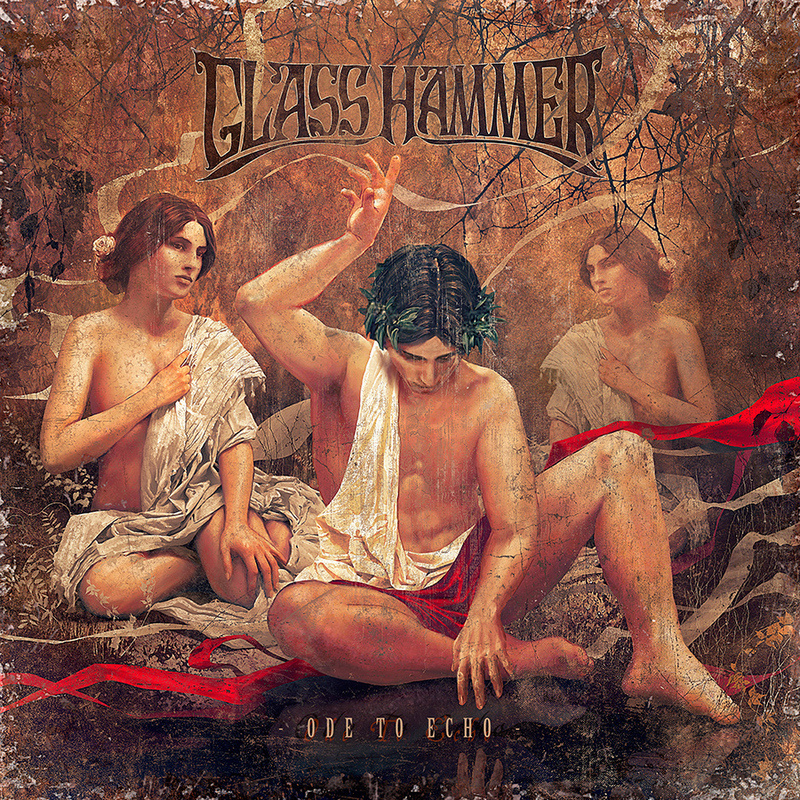 If you have no local option, please consider supporting our website by ordering from Amazon using our Affiliate link: Glass Hammer – Ode to Echo. Thank you!